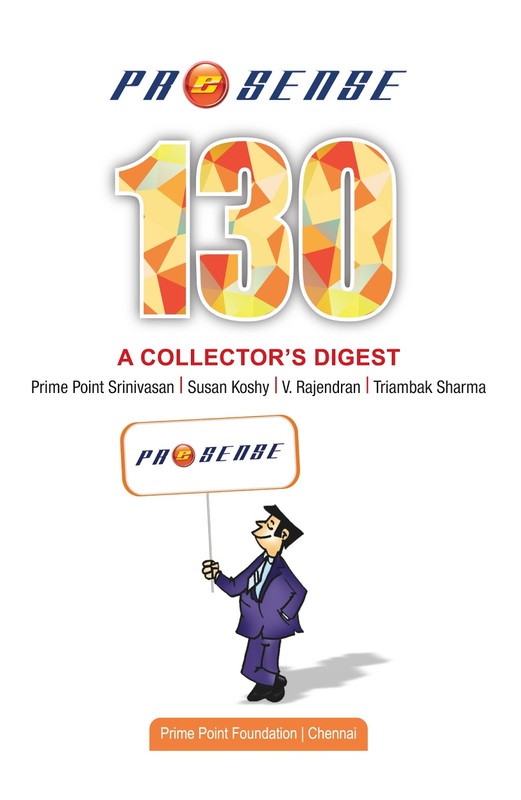 The editorial team of eMagazine PreSense is pleased to release the 137th (July 2018) edition of ezine PreSense broadly with the following contents. 1. Editorial : Susan Koshy writes as to how simple but reckless acts of some people prove to be disastrous for themselves and to the society. 2. CoverStory : Dr R Jagannathan .writes on the environmental protection, including threats and mitigation. 3. Ancient Indian Wisdom : Susan Koshy with input from D K Hari, writes as to how Korea and India were connected through Ayodhya in the ancient days. 4. Announcement : PreSense announces the guidelines for Sansad Mahar Ratna Awards for 16th Lok Sabha. 5. Activities of Initiatives : V Rajendran writes on the recent one-day workshop on 'Securing the Digital India' organised by Digital Security Association of India (DiSAI). 6. Activities of initiatives: Digital Journalists Association of India (DiJAI) organised one-month course to remote students on 'Digital Journalism' using tele-conference call. Susan Koshy writes on this unique experiment. 7. Prince toon : Triambak's usual Prince cartoon. The ezine may also be downloaded from the following link. Sansad Ratna Awards' was instituted by your eMagazine PreSense jointly with Prime Point Foundation in 2010 on the suggestions of late Dr APJ Abdul Kalam to honour the top performing Parliamentarians. 9th edition of Sansad Ratna Awards 2018 event was held at IIT Madras on 9th June 2018. 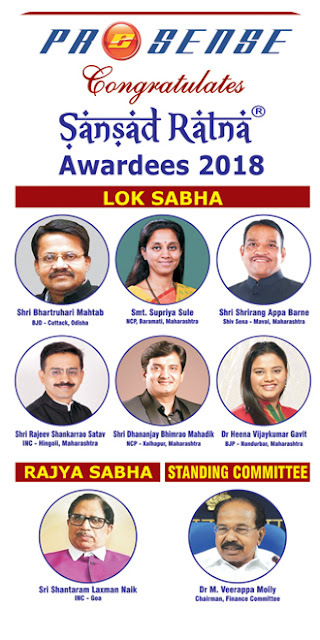 Six individual MPs and a Chairman of Parliamentary Standing Committee were honoured with 'Sansad Ratna Awards' based on various performance parameters. We had the unique honour of getting exclusive Message from Shri Narendra Modi, Hon'ble Prime Minister of India. Besides we also received greeting messages from 3 Governors and 3 Chief Ministers. 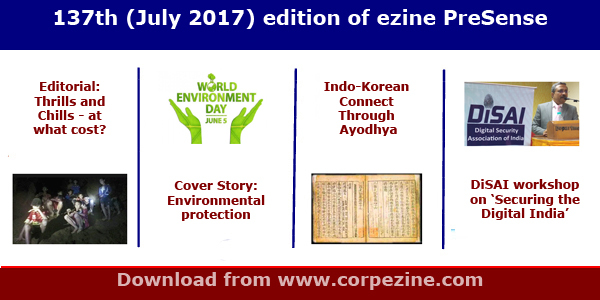 136th (June 2018) issue of your ezine PreSense covers the entire event, including the details of Awardees, various speeches, links, etc. We are confident that you will enjoy this edition too. Kindly share this issue with your contacts. Please send us your feedback to editor@corpezine.com.